Founded in 2003, T. A. 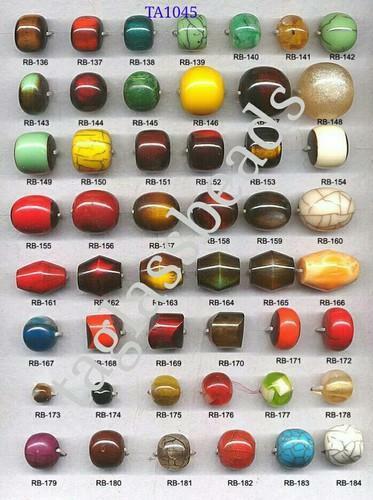 Glass Beads is one of the well-known organizations, extremely indulged in manufacturing, Exporting supplying and wholesaling a board series of products such as Bone Beads, Horn Beads, Wooden Beads, Mixed Beads, Metal Beads, Handicrafts Buttons, Glass Beads, Kashmiri Beads, Ceramic Beads, Smoking Pipes, Resin Beads, Wooden Door Knob. Our products are extremely admired by our customers for their longer life, sturdy structure, elite designs, water resistance, smooth surface and inexpensive prices. These products are made using the advanced technique and optimum quality input which is procured from reliable dealers of a market. In addition, with the aid of our knowledgeable personnel, we offer these products in diverse sizes and designs in order to meet the variegated necessities of our esteemed customers. Our customers can attain these products from us as per their requirements and needs within given time-frame.